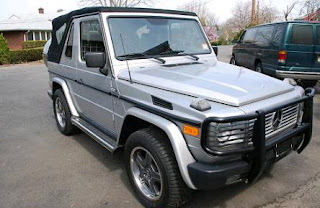 The Gelaendewagen (pronounced ga-lin-di-va-gon), or "G-wagen", was introduced by Mercedes-Benz in 1979, but was not officially sent to the US until 2002. Sort of. 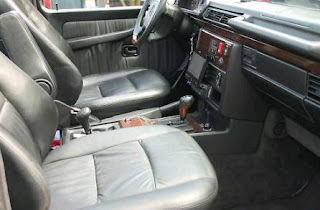 A company called Europa International began importing them back in the early 1980s. They sold quite well. 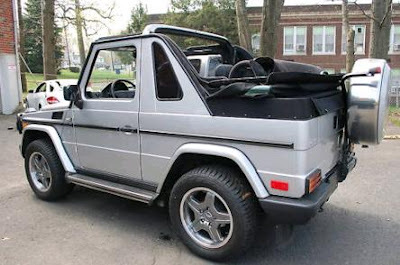 So well in fact, that after the federal government tightened the rules on gray market cars, Europa went about certifying the G-wagen to federal emissions and safety standards including doing the expensive crash testing. Steyr-Daimler-Puch, the Austrian company that builds the Mercedes G-Class, started building US spec vehicles specifically for Europa. Europa International no longer had to deal with modifying the vehicles itself and became its sole sales agent in the US. At one point it was estimated that 10% of all the G-wagens built were sold by Europa. I know that there are some people who will call this vehicle a RAV4 / Land Rover Freelander / Suzuki Sidekick for the uber-rich. That would be a lot like saying a Ferrari is an MR2 for the rich. 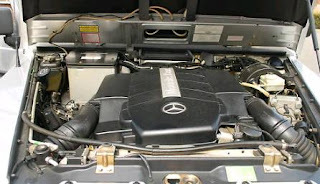 The G-wagen has a V8 and permanent 4 wheel drive with hi-low range. It has 3 locking differentials. The top is triple insulated and power operated. It has power / heated leather seats. It has everything you'd expect from a Mercedes-Benz vehicle. This is literally the Mercedes-Benz of 2 door, soft top, SUVs. Many G-wagens that came to the US were built to the customer's specs. This one has a walnut dash and console. It also has custom AMG wheels and other options that were probably added by the dealer or later by the owner. The sellers of this G-wagen gives few details about it other than saying it has no dents or scratches and 36,355 miles. They leave an address and phone number, however. I'd love to own this vehicle. Unfortunately, I don't have an extra $70,000.00 laying around. If I did, this would be in my driveway tomorrow. What a cool vehicle. Located in Tenafly, NJ, click here to see the eBay listing. that's a very rare one. Never seen one other than the army "wolf" version. I just got a SWB and it seems to be the only one in Canada from 95.